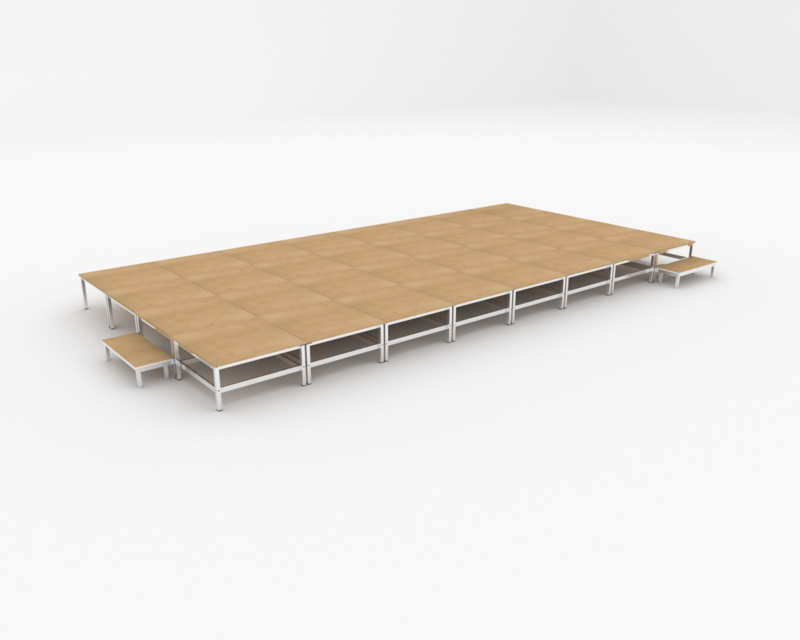 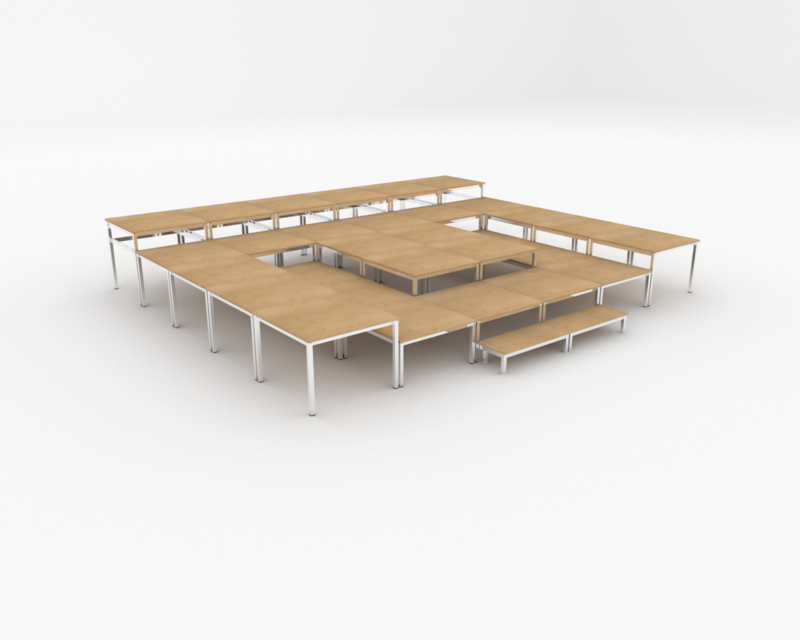 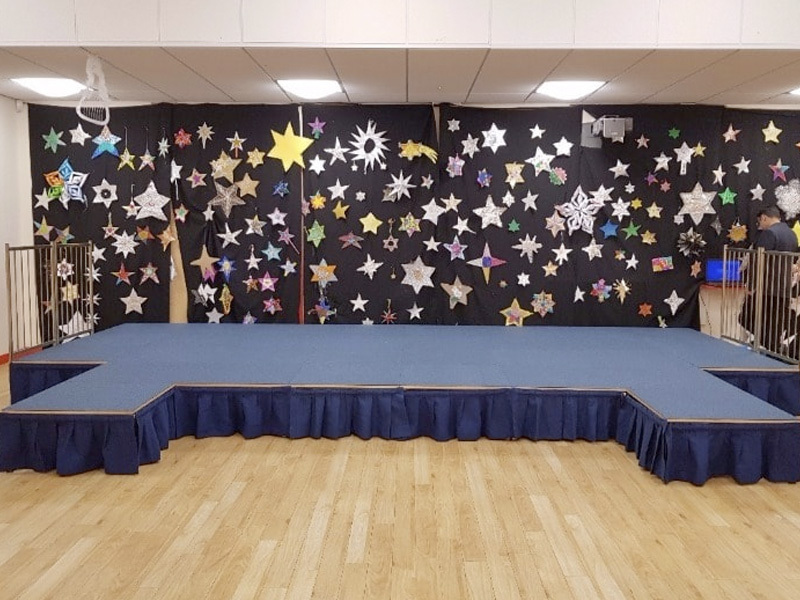 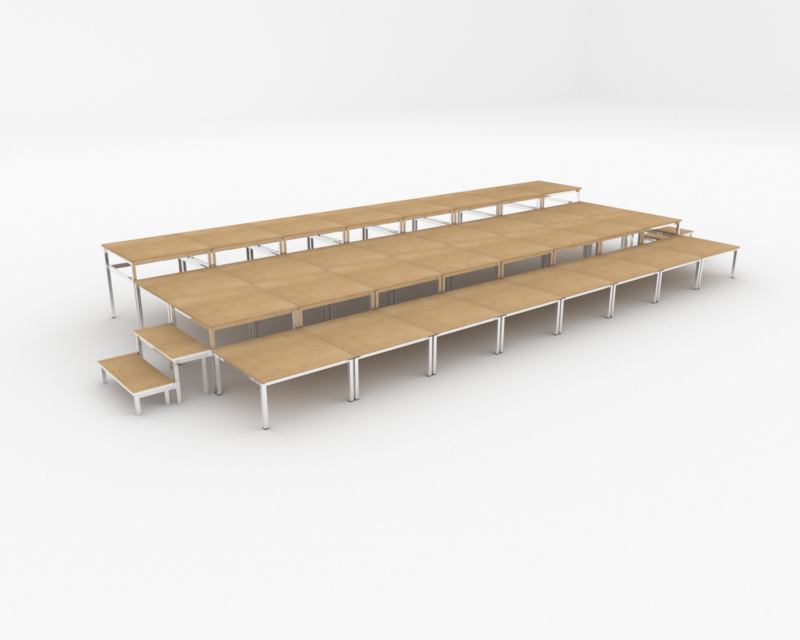 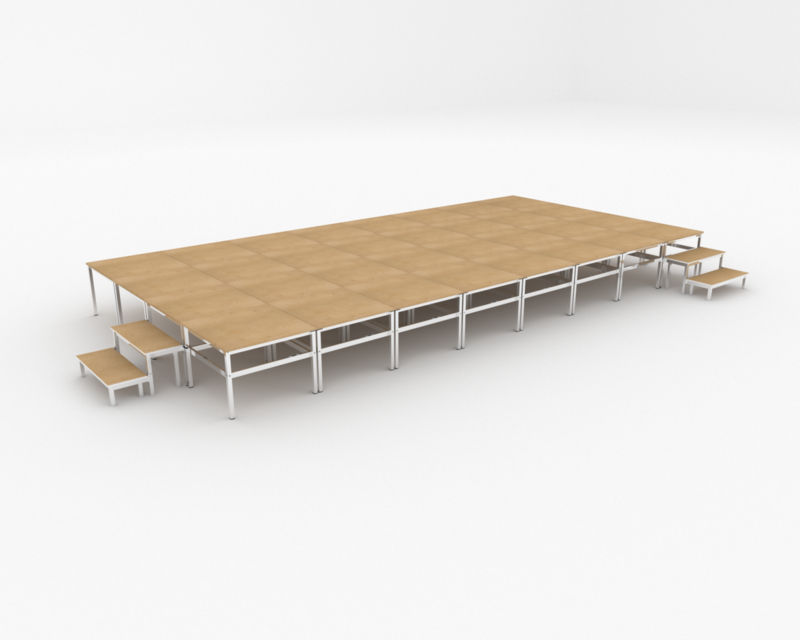 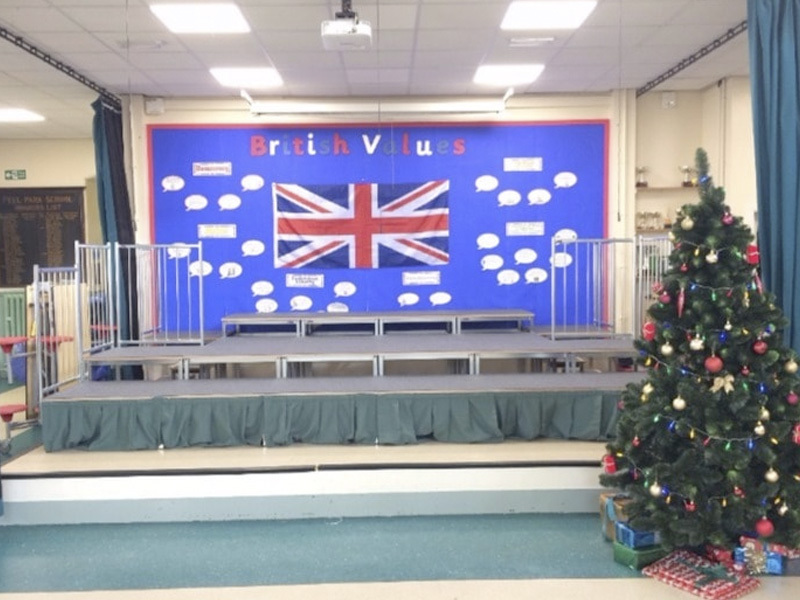 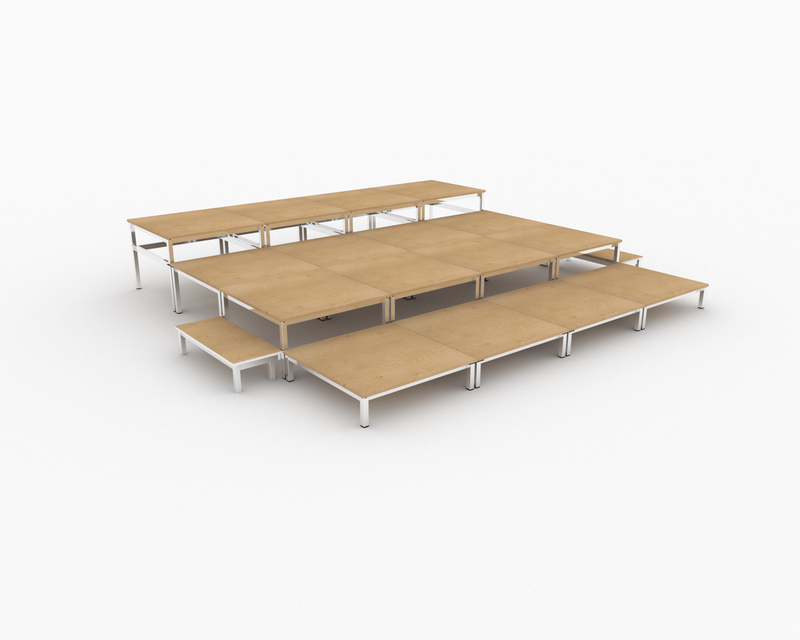 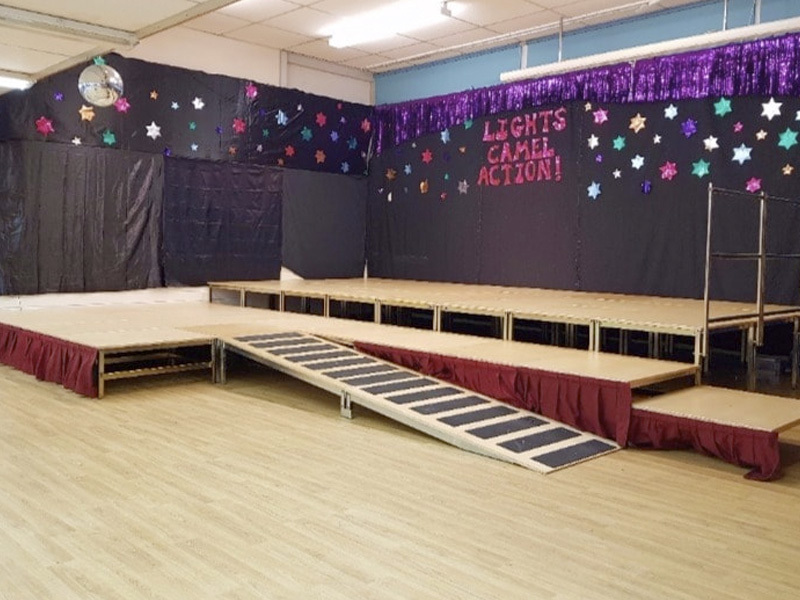 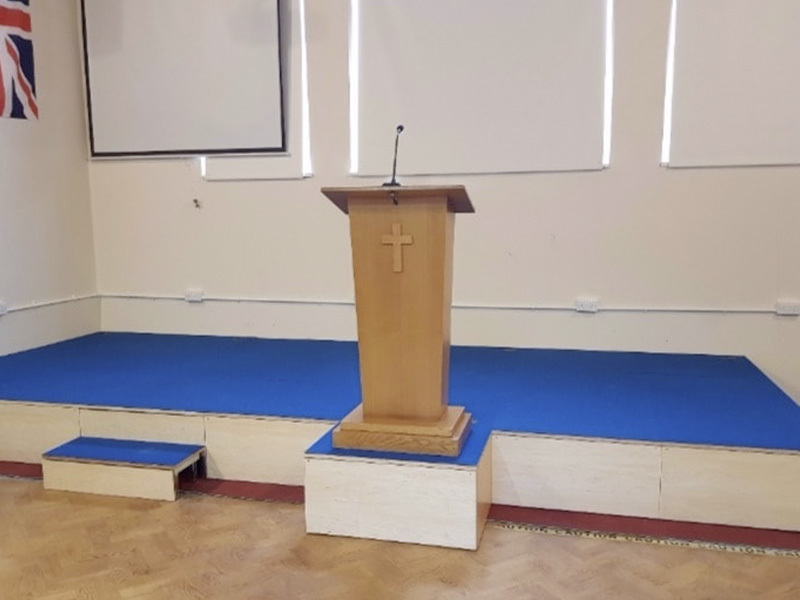 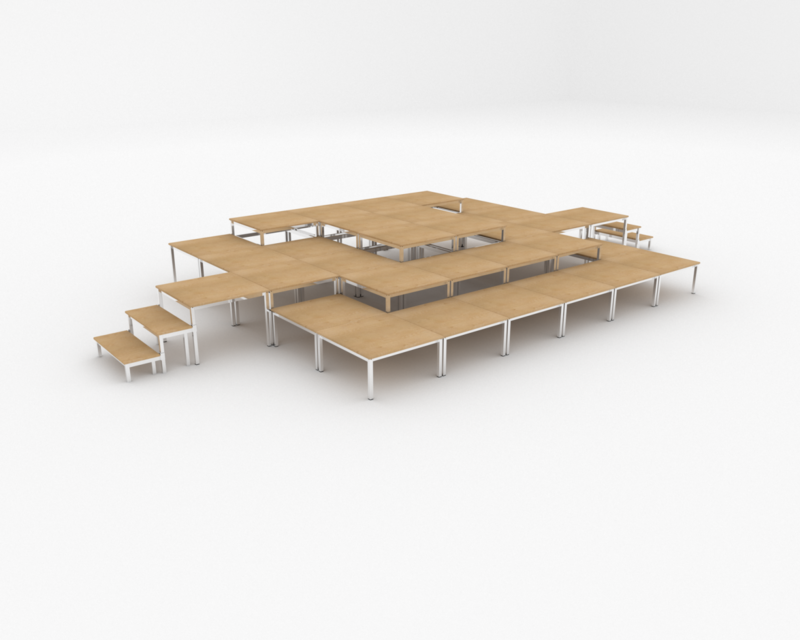 Set 32 Multi Level is designed to give a stage width of 6m x 3m. 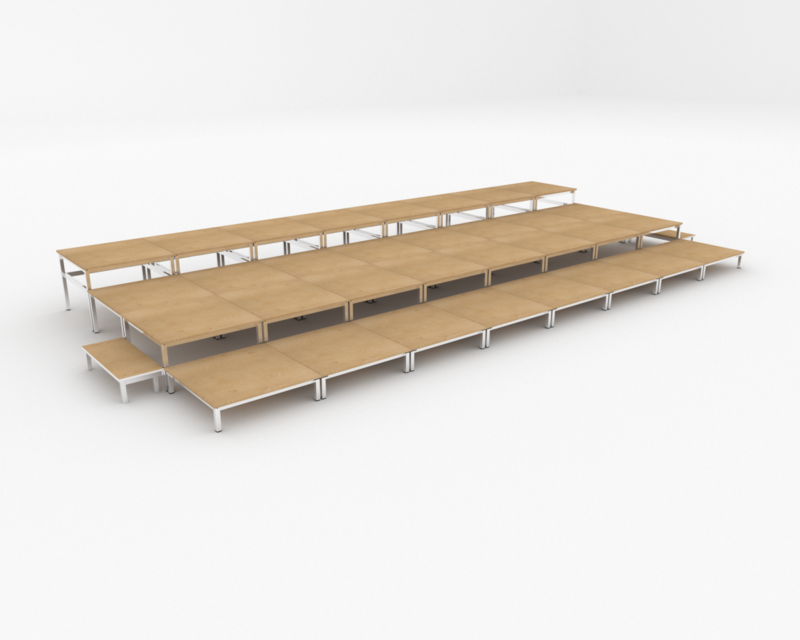 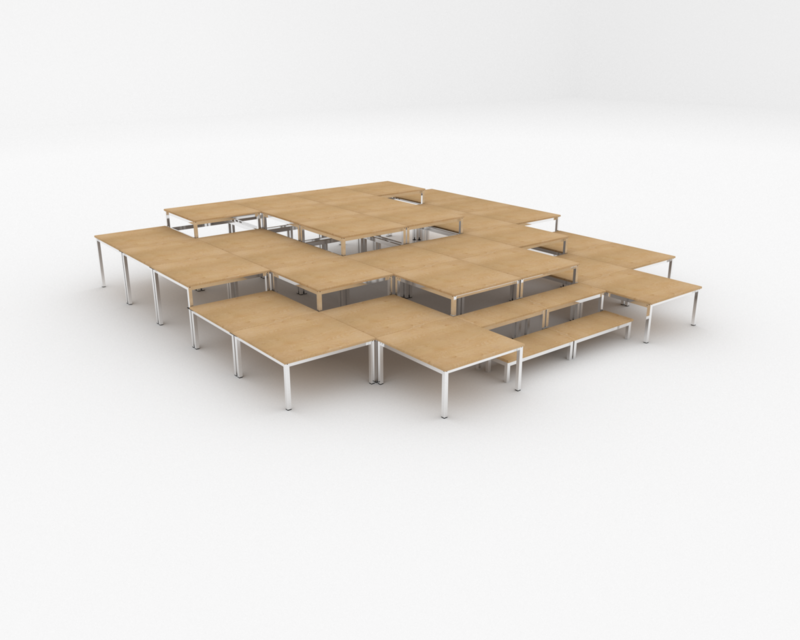 With additional unidecks, the set will extend to 3.75m (when 180mm stacker frames are positioned as a front row). 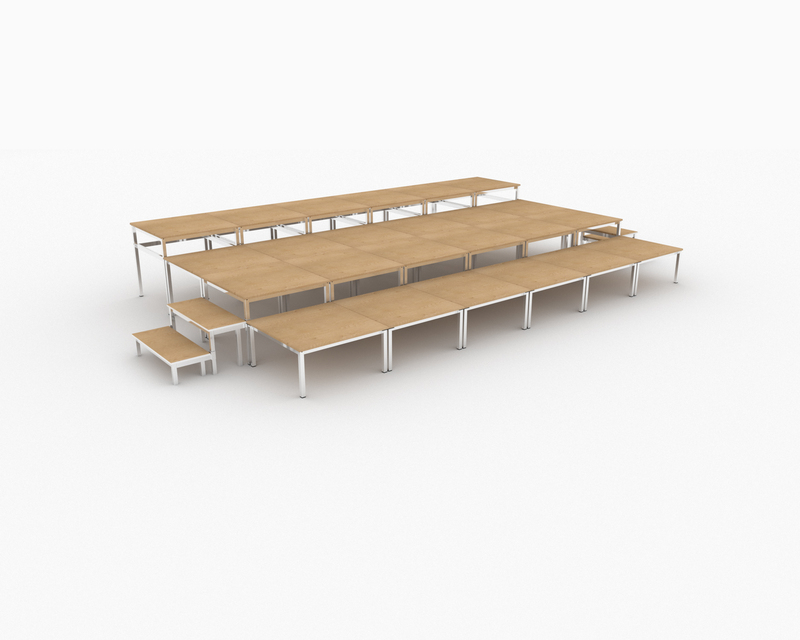 The set comes complete with unilinks to secure the units together and a mobile storage shuttle.